Happy National Burger Day everyone!!! This is probably the best day of the year (aside from my birthday ha). 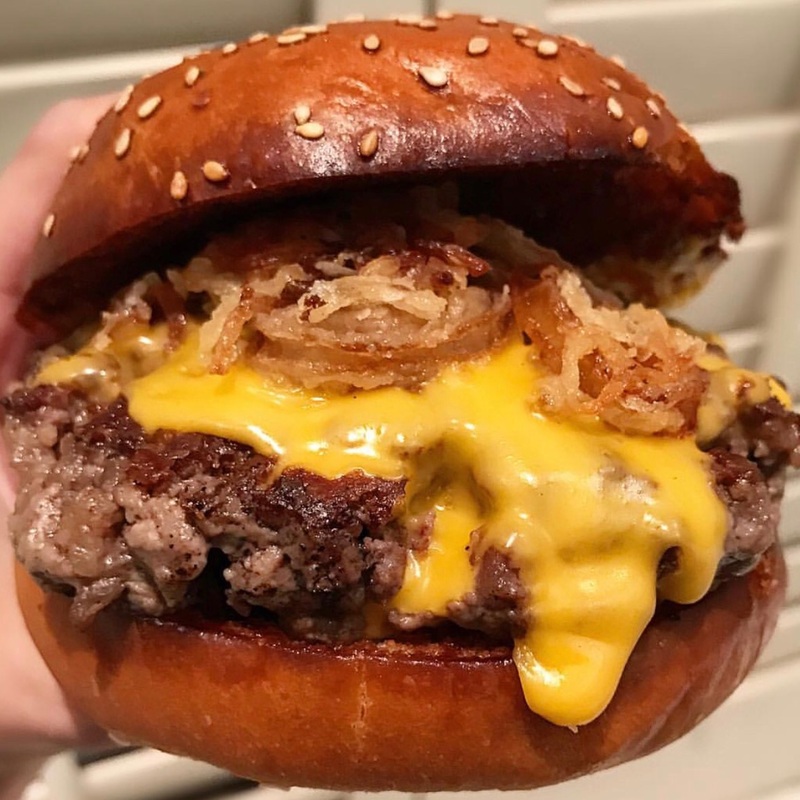 To celebrate these satisfying squidgy patties, topped with gooey cheese and crisp lettuce, I’ve come up with a list of 10 amazing burgers that you must try in London! 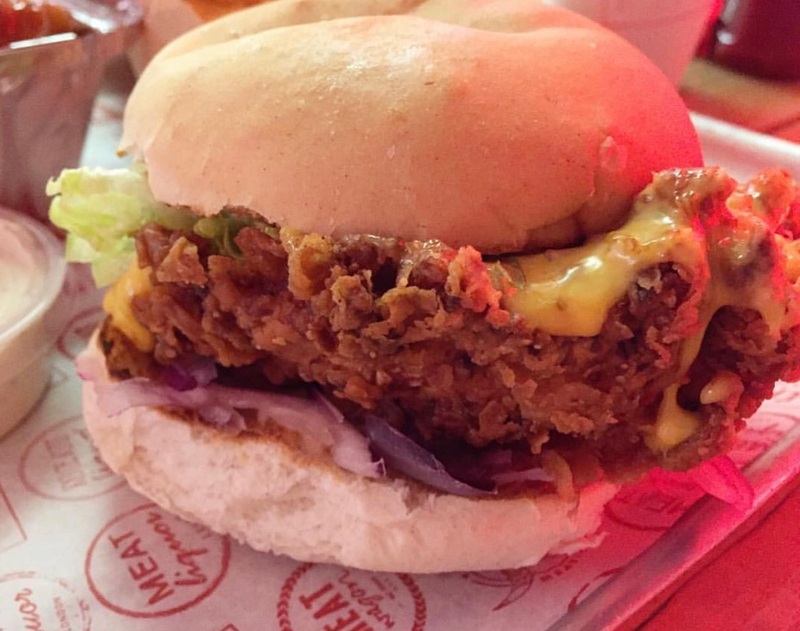 And if you’re one of those people who like chicken more than beef *rolls eyes*, don’t worry… I’ve got you sorted too! 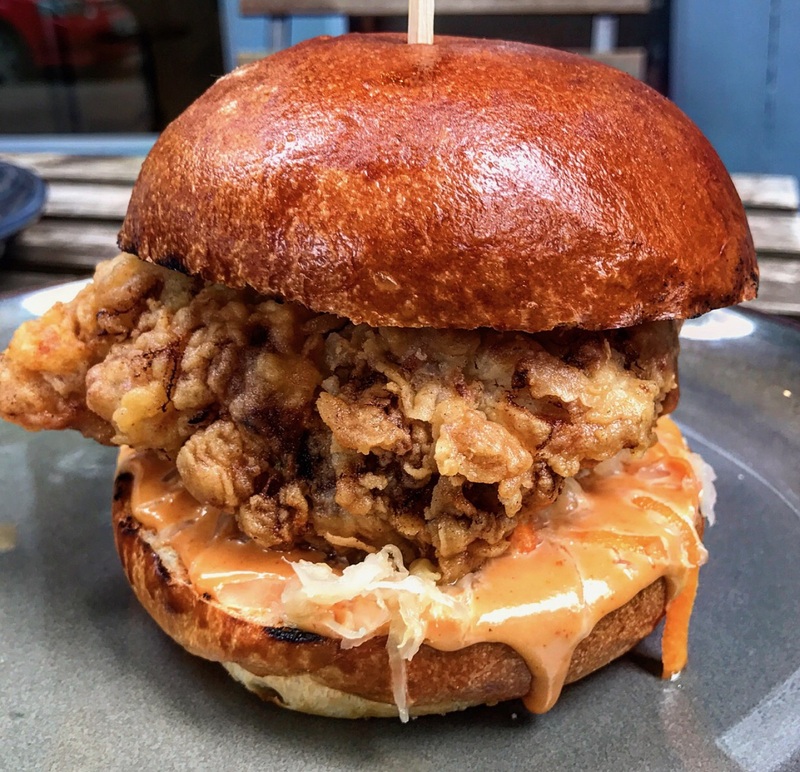 For super squidgy, juicy and loosely packed burgers head to Burgista Bros! 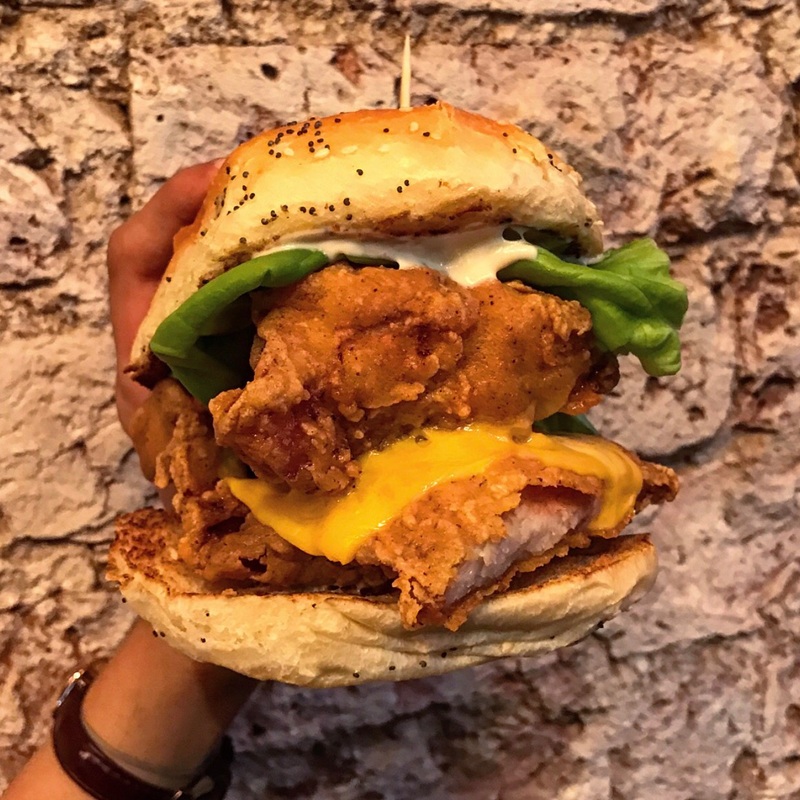 The Great Chase is pretty new on the block and serves an epic buttermilk fried chicken burger which comes with cabbage slaw and spicy miso! 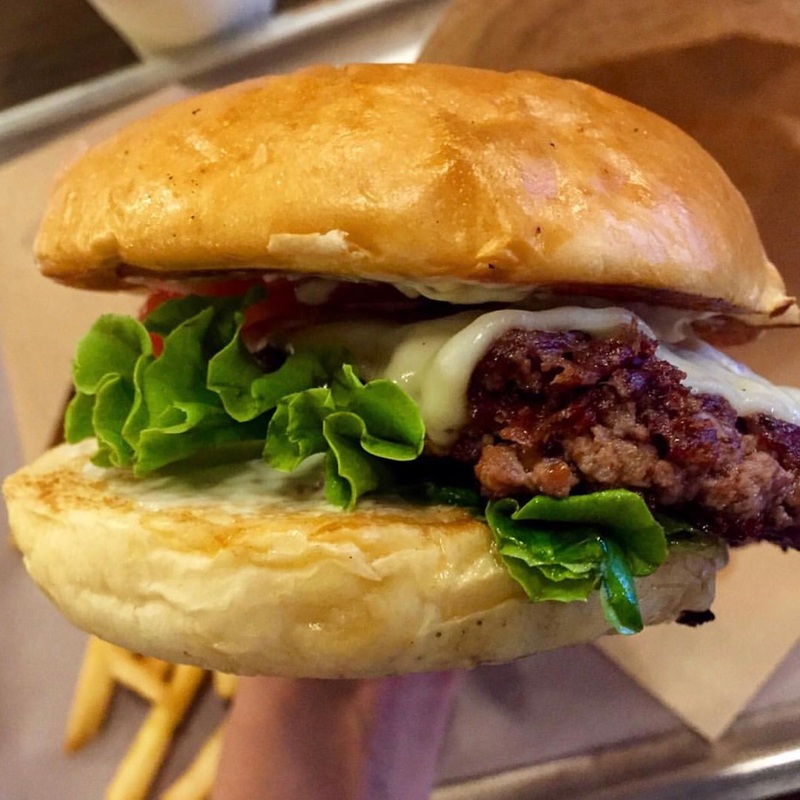 If you want a small burger and a quick bite, Burgeri is the perfect stop after a bout of shopping! 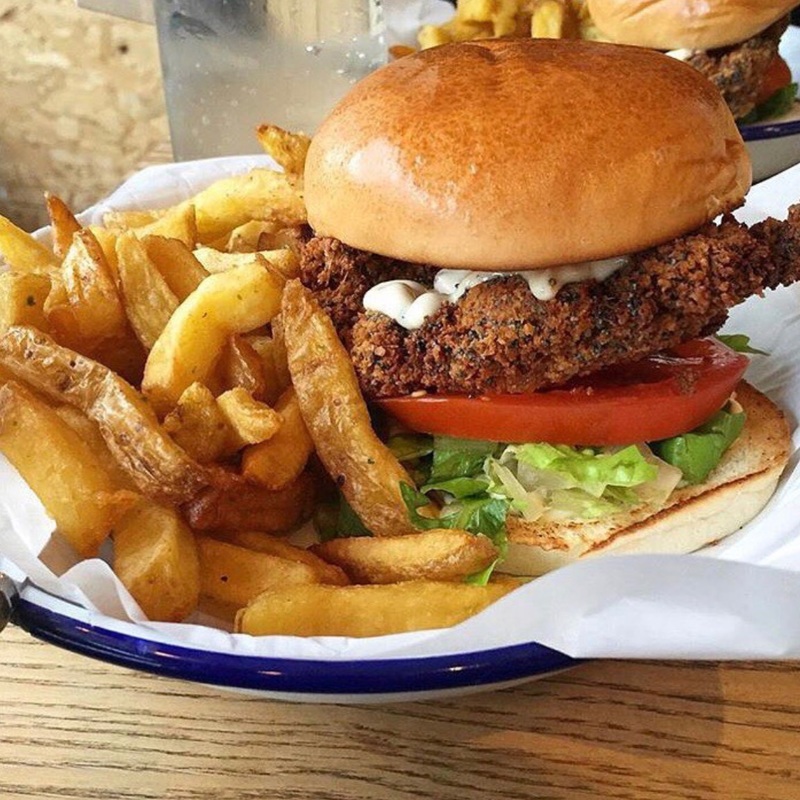 Burger UK serve 100% free range and halal meat that is ethically and locally sourced. 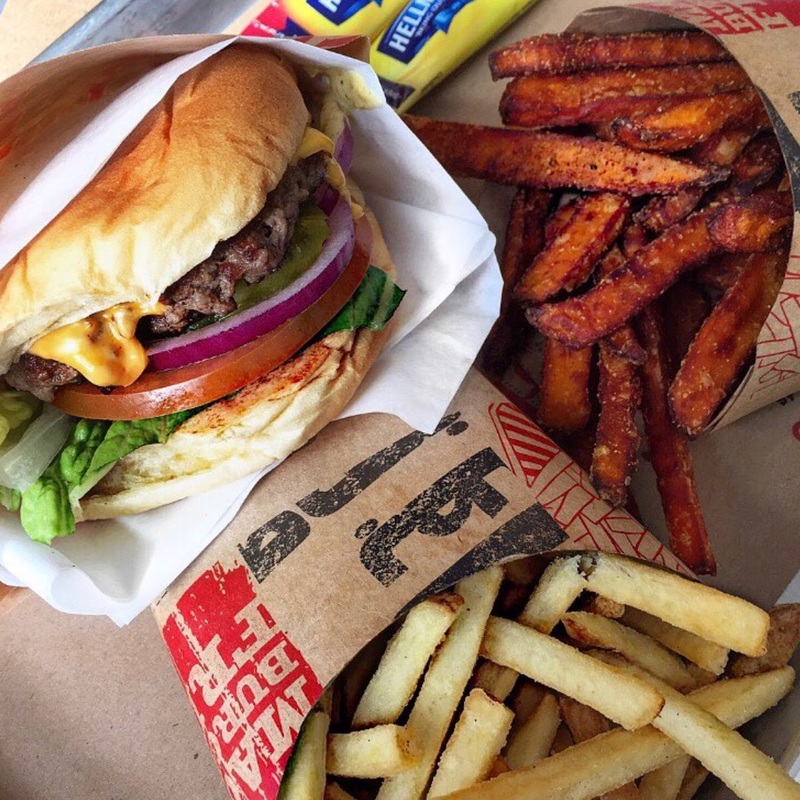 They put a lot of effort and passion into their burgers and you can sure tell! 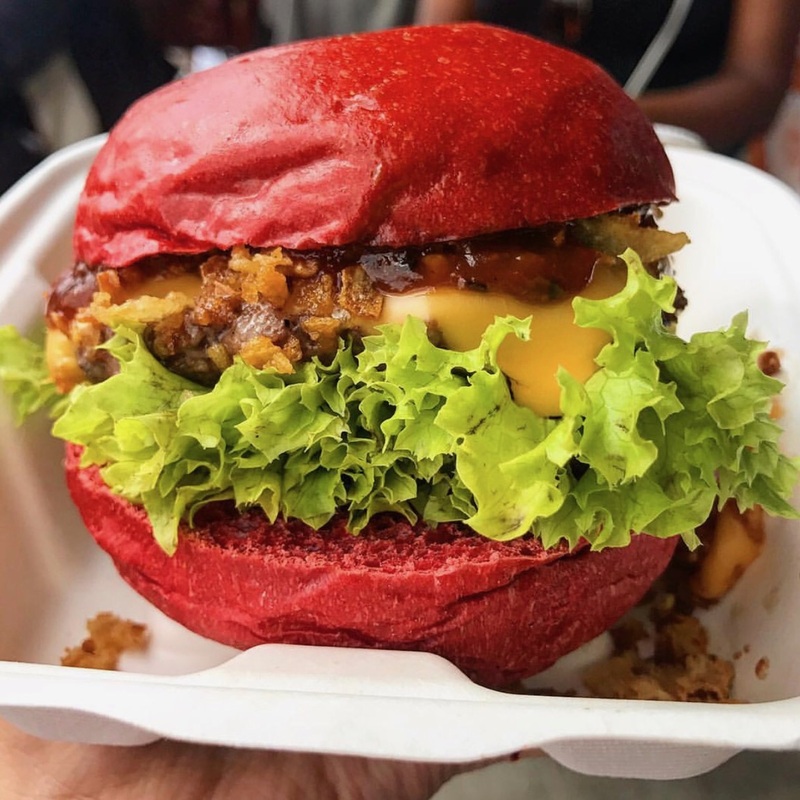 A new restaurant in Hayes serves up this “Bollywood Burger” that comes with spicy masala and a red bun! The Tooting Branch is halal and they serve one of the best chicken burgers I’ve ever had! The rustic rosemary fries are just as good. I’m going to say it. You ready? In my opinion, this is the best chicken burger EVER! 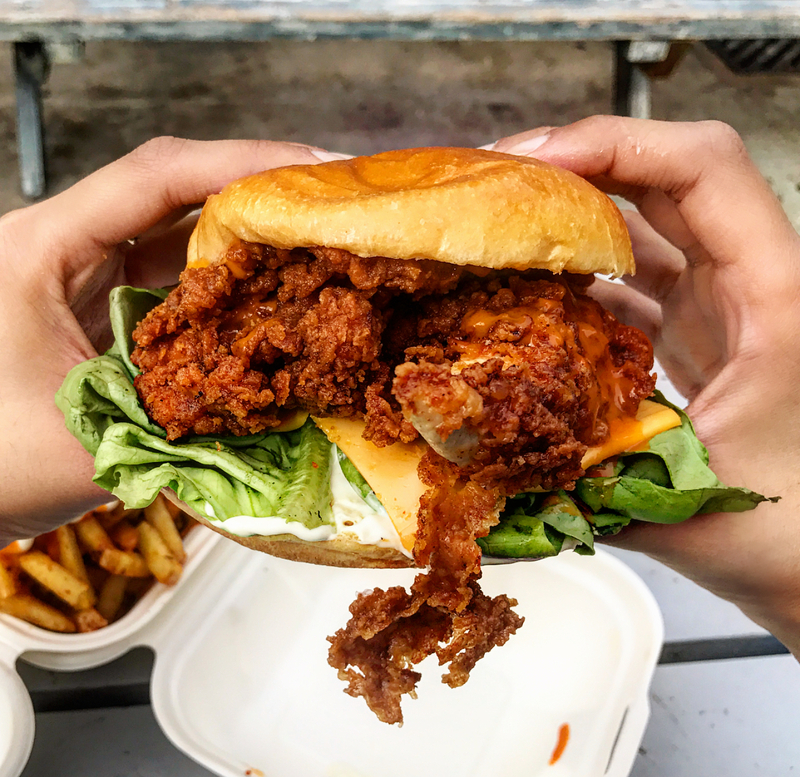 It’s so juicy and perfectly crispy and packs in a lot of flavour! 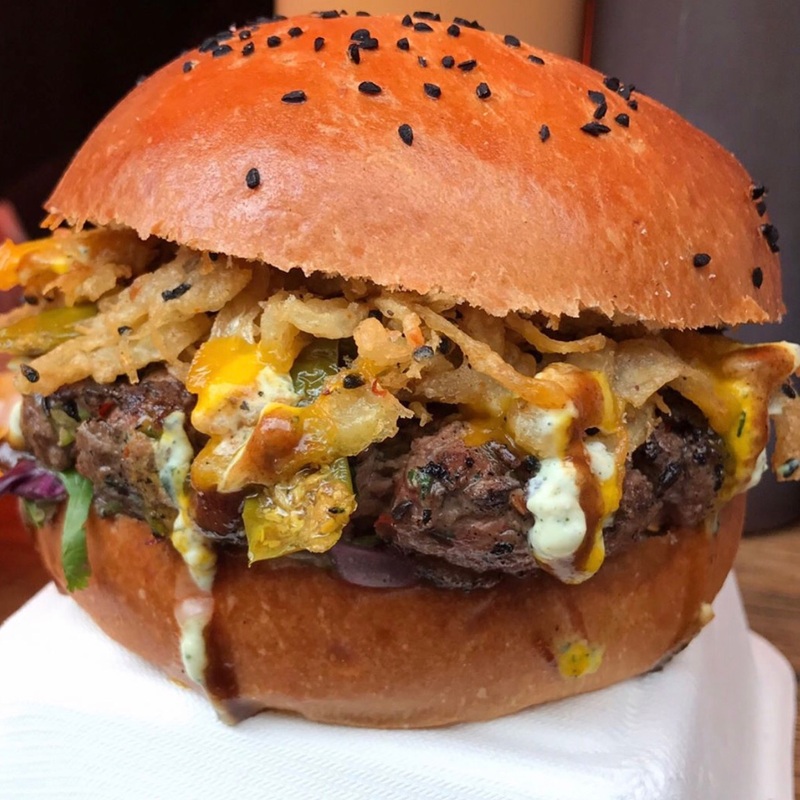 If you want a more spicy option – head to Baba G’s for one of their Bhangra Burgers! I’d recommend the Naga Delhi Double which comes with 2 spicy lamb patties and a crispy onion bhaji. It’s HOT! There you have it! Let me know you favourites in the comment below!